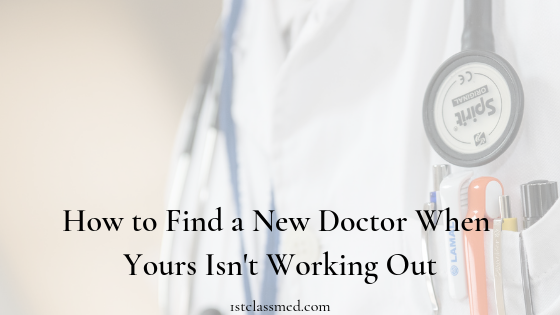 There can be a handful of reasons why you may be searching for a new doctor, maybe they retired, or maybe you felt you weren’t getting the attention and seriousness you need. Finding a new doctor, that you like, can be a challenge to say the least. Though having a doctor is important, settling for a doctor you don’t like to go see can be a big issue. Your doctor and you should have a good relationship, it should be someone you like and trust. Those that have a good relationship with their PCP lower their risk of dying of cancer, heart disease and stroke. Luckily, we are here to help you find a new doctor, especially one you like! When looking for a primary care provider (PCP), start by asking those around you who they see. More than likely, your friends and family will have a doctor they enjoy and trust. Follow up with other questions about the doctor, to see if you are that doctor would be a good fit. What do you like about your doctor? How long does it take for you to get in to see them? Etc. Write down every doctor that you feel is a good fit for you. Keep in mind that everyone is different and a doctor your friends or family like may not be a match for you. 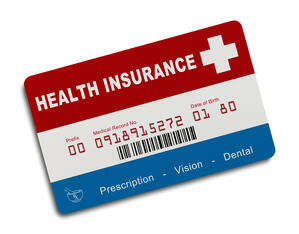 After you get a list of recommendations, look to see who your insurance covers and who is not covered. This is important because seeing a doctor that is out of network can mean you will be paying a lot of out of pocket costs. Your insurance provider should have a search engine on their website to see if your insurance covers that office. If not, you can give them a call or contact the prospective doctors offices' and speak with them about it. Look at the distance from your home to each doctor’s office, determine how far you would be willing to drive. People often visit their doctor’s office a few times a year, so it should be a reasonable distance from your home. If you aren’t feeling well, the last thing you want to do is to drive a far distance to see your doctor. The closer the doctor, the more likely you will be to stick with an appointment for a checkup. A closer distance also lowers the amount of time you have to spend for a doctors appointment (driving there, waiting, meeting with the doctor, driving home). 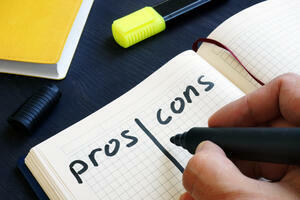 After your list is narrowed down to 2-3 doctors, call each doctor and ask questions. We attached a PDF of questions to ask everyone along the way, you can print out a sheet for each doctor you meet with. Once you find a doctor you think is a good fit, schedule an appointment to meet with them. When you speak with the office you will get a better idea of how they handle things. If they have an attitude and are rushing you on the phone, you may have the same experience when you go into the office. If they have time, ask the front desk questions about prescription refills, how you get test results, if you can make an appointment online and if they will remind you about flu shots and checkups. Before your appointment request your medical records from your previous doctor so you can bring them with to your doctor appointment. This may require you to go in to sign paperwork to release your information. At the new doctor, you may also have new patient forms to fill out, so plan to bring a list of your current medications and arrive a few minutes early (the office may give you a time) to fill out the paperwork. During the visit with the doctor, ask questions about things you worry about with your health, your current lifestyle and any other questions you may need answers to. After you leave the office and head home, start to think about how you felt after the appointment. Your doctor should make you feel better about any questions you had, as well as feel respected. Once you get home, sit down and write down what you liked and disliked about the doctor as well as answer some questions. Did you feel comfortable asking questions? Did the doctor explain the answers to you clearly? Etc. If you don’t have confidence in the doctor and how you felt during the visit, make an appointment with another doctor on your list. Before you commit to seeing a specific doctor, think about if their ideals match yours. Often, on the physician’s website they have a short bio about themselves, which can give you a better idea of who they are. You can also ask them questions when you meet with them, ask any questions that the answer matters to you. Make sure they understand your culture and religion so you are fully respected during your visit. If you don’t feel like you connect with your doctor, it may be best to look elsewhere for a different doctor. Once you find a doctor you like, make sure you get any important documents sent over to your new doctor. By giving them your records, your doctor will be able to better assess any medical conditions that may arise in the future. Maintaining a doctor-patient relationship is key to a healthy life and being efficient in treating any medical condition that may arise. A PDF with questions to ask on your doctor search can be downloaded HERE.